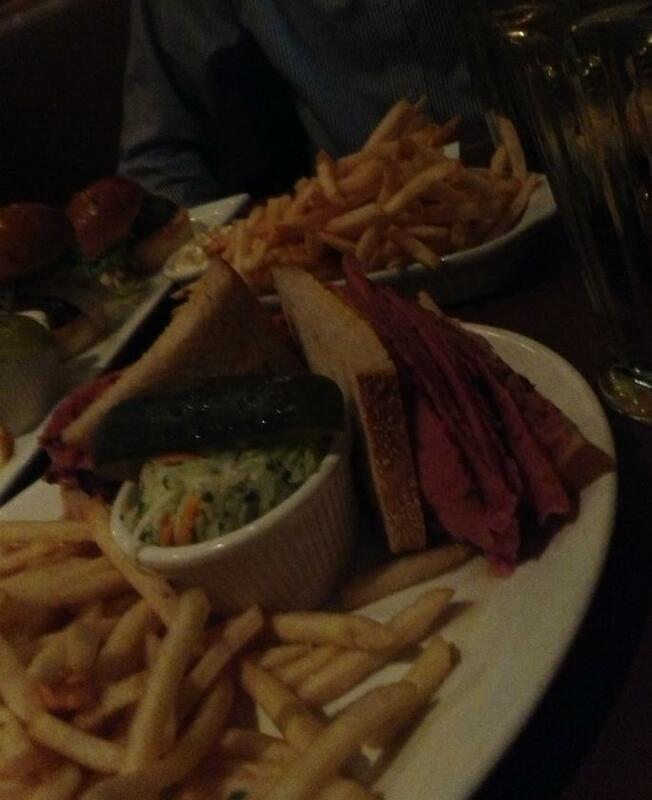 You need to try the major delis of Montreal, those most Montrealers usually consider as pertaining to their tier1 and tier2, which are the usual culprits: Schwartz‘s, Reuben’s, Smokemeat Pete’s, The Main, Jarry Smoked meat, Dunn’s, Snowdon Déli, Lesters, etc. You have to try those since they can be really different from each other’s (the seasoning, the quality of the rye bread, some prefer rusticity, others opt for refinement ) and the differences will tell you how inaccurate it is to hastily elect one smoked meat as the ultimate One. As an example: isn’t that tempting to associate dry brisket with failure? Well, if you do so, you could be wrong because some have their dry brisket perfectly balanced by either seasoning or the perfect amount of mustard kick that would make the whole less exciting had that same brisket been moist. The preparation can be completely different from a place to another as some cover their brisket with spices, others do not, some have their meat easily breaking apart (considered as authentic to some), others do not (and that does not mean the brisket is less good..obviously),etc. And examples of that sort abound and remind us that you should not anticipate anything that sounds off-putting as necessarily bad when it comes to the smoked meat. I went back to one of Montreal’s major delis, Reuben (the one on 1116 Rue Sainte-Catherine Ouest) after two years of no show. As soon as you enter the place, the attention to details jump to your eyes: this will be about refinement (for a deli in Montreal) all the way -> the art-deco inspired interior design is not overly flashy but this is clearly Montreal’s best looking deli as far as décor is concerned, the staff looks good and is dressed well (again, by Deli standards). Pros: The refinement of their smoked meat generates a mouthfeel effect that’s as enjoyable as those of any rich and flavorful rustic takes on the smoked meat. Another admirable feature is to observe that doing more than just smoked meat (steaks, burgers, etc …which WE Montrealers usually do not want from our Delis…we want our delis to just focus on the smoked meat) substracts nothing to the quality of those smoked meats. 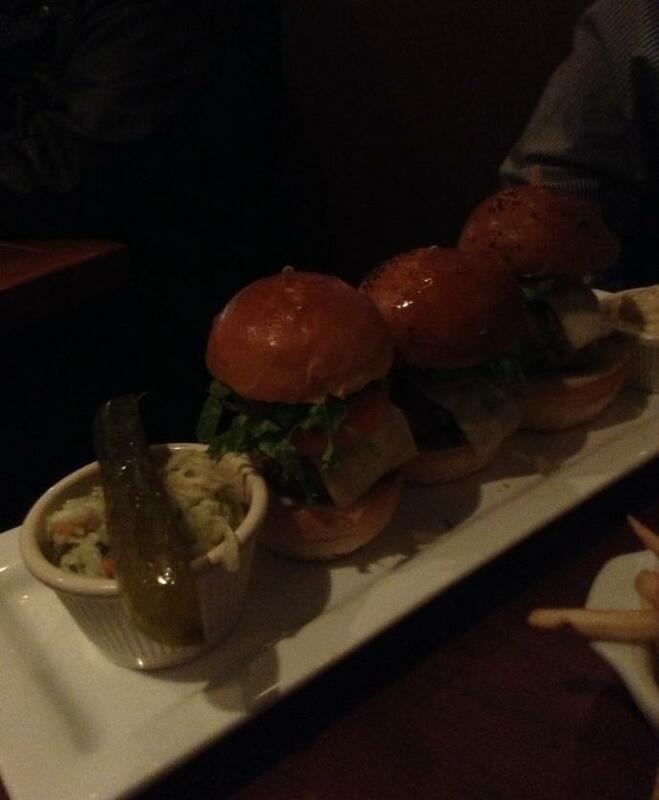 Furthermore, they don’t just do an excellent smoked meat but they also perform well when it comes to the non-déli items as demonstrated by sliders that had the edge over other versions found at places specializing in burgers. This is one of the few places in Montreal that seem to suffer from virtually no inconsistency. Cons: The gentleman (40ish, relatively short, bald) serving us was polite, but I felt a bit rushed. Now, I live in Montreal since a long time so I know where such thing should be treated as perfectly expected/normal, which was the case here. The reason I do mention this is because some people, especially from outside Montreal, could have a different interpretation of this. So here we go: there’s nothing wrong to that and I could have just asked him to slow down a bit.